Go big with this Bold & Bright Paper Clip Bookmark! 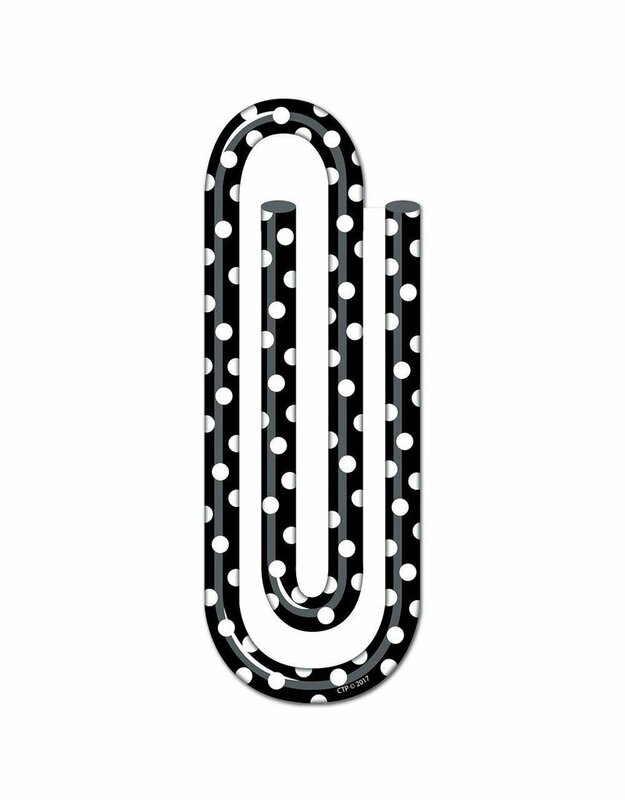 Students won't be able to miss this giant black and white polka dotted paper clip bookmark as it holds their place in their book. The unique die-cut allows the giant paper clip to actually slide over the top of the page. These motivating bookmarks are great to use as classroom rewards and incentives for any age of students. Perfect to hand out to students for their achievements in reading programs, for read-a-thon events, and for student birthdays.